This solid lotion bar is packed full of nourishing food for the skin. Your skin will soak in the Hemp Oil and Mango Butter and leave it soft and moisturized. To heat safe pan, add Hemp Oil, Mango Butter and Beeswax. Place pan over heat source and heat on low until the beewax has completely melted. Stir to blend in any small pieces of product. Add Vitamin E and Burmese Woods Fragrance Oil. Stir well to incorporate all ingredients. Let cool to 150°F. Place empty tube on scale and tare to zero. Fill to 2.20 oz. by weight. Let cool completely before applying caps. To Use: Rub into dry skin as needed. 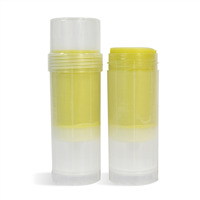 Ingredient Label: Hemp Seed Oil, Mango Butter, Beeswax, Fragrance, Vitamin E.
"Can I use cocoa butter in place of the Mango? I know it will be harder but I would prefer to make a more solid bar. " Staff Answer You will need to test this if you want to make a substitution. We have only used the mango in this recipe. "What is the shelf life of this product?" Staff Answer This product has a one-year shelf life. "Suggested price for each tube/bar?" "are these greasy feeling? Can you add tapioca starch to help if they are?" 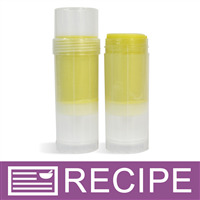 Staff Answer This recipe uses hemp oil, a dry oil, to soak into skin quickly. You can certainly used tapioca starch to lessen any greasy feel this lotion bar might have. "Could the recipes requiring a double boiler be made in a crockpot? " Staff Answer We have not used a crockpot for this type of recipe but it should work the same as the double boiler. "Would this work as a bar instead of the tube?" Staff Answer Yes, you can pour into a mold and use as a lotion bar instead of the tube. "Could I replace the Vitamin E with Rosemary extract instead? If so, would the usage rate be the same? Thanks!" Staff Answer Yes, you can replace the Vitamin E with ROE. 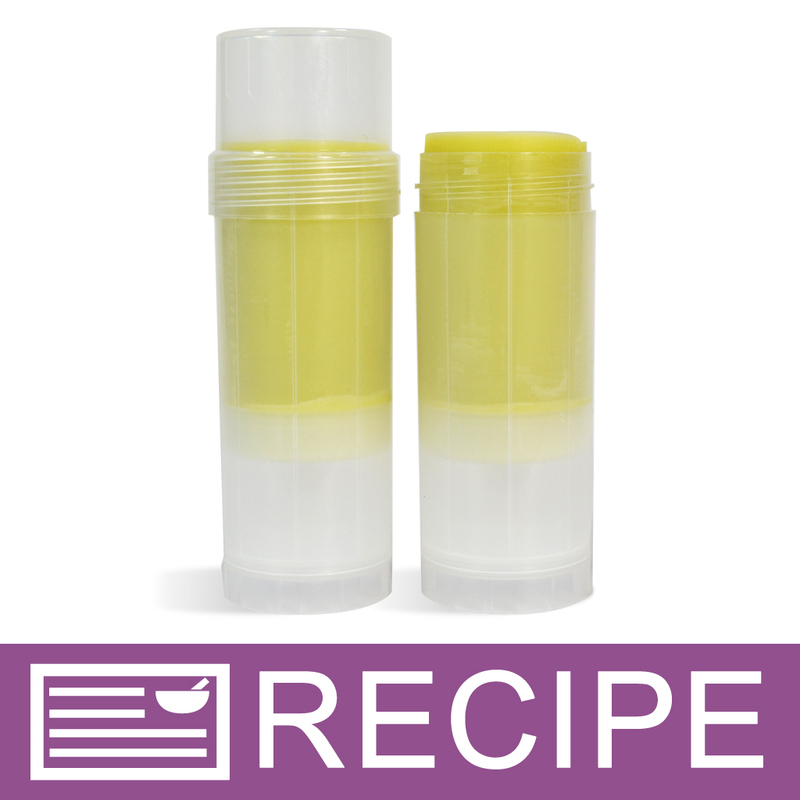 The usage rate for ROE is lower at .02-.05% compared to 0.5-2% of Vitamin E.
"Why is there Phenonip in this recipe but not other lotion bar recipes? Also, can I substitute Optiphen Plus instead?" Staff Answer The preservative has been removed from this recipe. Since it is all oils and butters, no preservative is needed. We did add Vitamin E as an anti-oxidant to keep the oils and butters from going rancid.